Allowing hotel, B&B, holiday home or farm house guests to be an active protagonist in their own travel experience is an important advantage. "Hospitalitem" is the Latin word meaning "friendship for the guests" from which the word hospitality directly derives. In the holiday accommodation sector, the best hospitality is where there is a warm welcome: putting guests at ease, regardless of age or ability, and allowing them to make the most of their stay, which will be a good reason to return to this accommodation facility and recommend it to others. All inclusive accommodation is the result of a long process of careful planning and must involve public bodies, architects and technicians. Not only must they make the area accessible, but also functional and not include architectural, cultural and sensorial barriers. In short, creating enjoyable spaces while respecting the laws, while drawing inspiration from the needs of those who live there. Inclusiveness is therefore hospitality designed for families with children, elderly people with mobility difficulties and people with disabilities. The right selection of products, combined with careful consideration of the functional aspects, determines the creation of a good quality area that takes into account age, skills, cultures, interests, preferences and more. The right spaces, wide openings, stairs alternating with ramps, fully equipped bathrooms, relaxing colours, soundproofed rooms, bright and warm rooms, elegant and functional furnishings, useful and beautiful furnishings are all needed to be included together. However, a system that does not necessarily have to a create special environment, or "be especially designed to cater for a particular category of people" can be "of a higher quality than normal, of particular excellence". If we want to understand if an accommodation facility is inclusive, we need to observe the bathrooms. 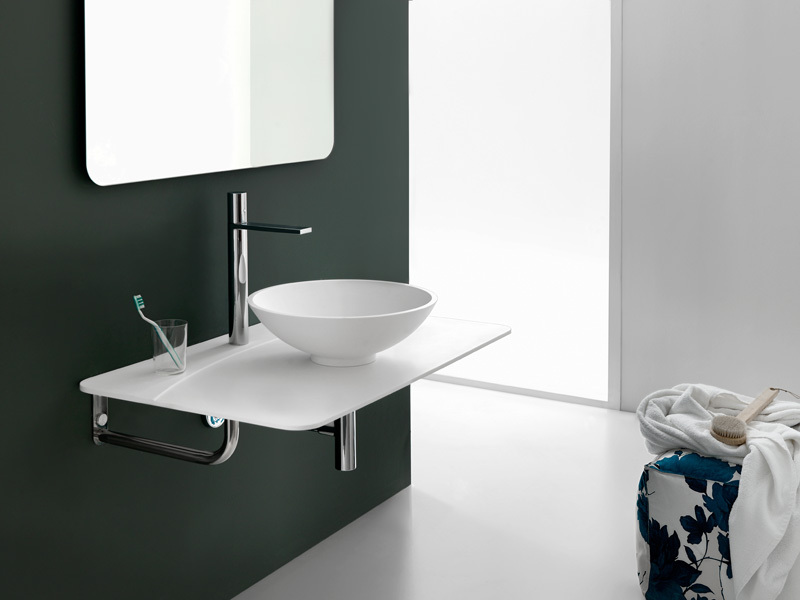 In the design, these areas allow us to foresee the critical issues and specific needs while showing us what is included: toilet, washbasin, shower area are all parts of a collection of different features with characteristics, wear and tear and maintenance all being considered. A useful and necessary process for a correct design. 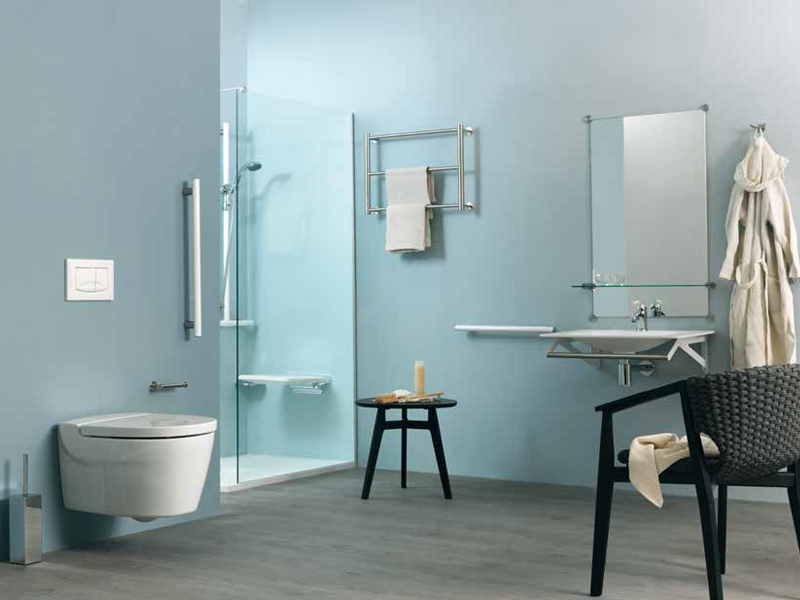 We also find the real degree of accessibility of an area: wash basins at the right height, grab bars that facilitate movement, ample showers and seats, accessories at the right height make the bathroom a suitable place to accommodate everyone. 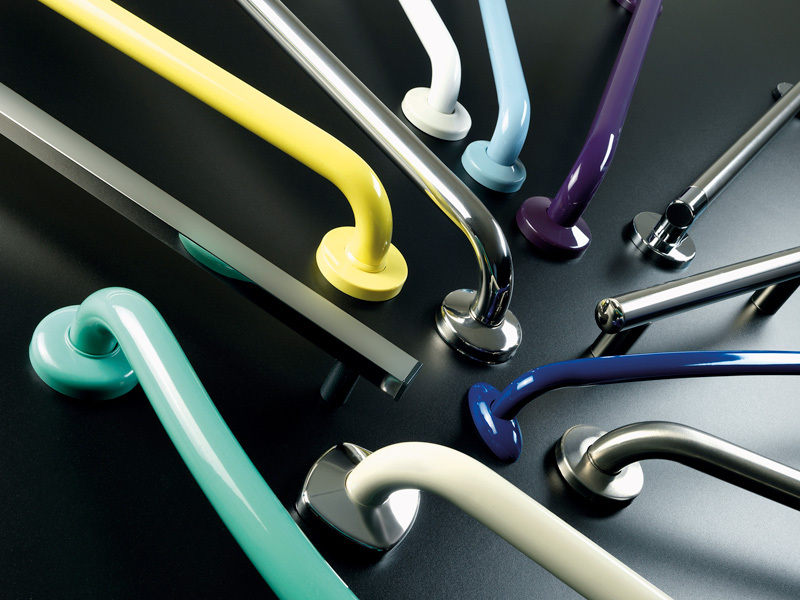 Back on the subject of special environments, since they are unique, they must be beautiful, elegant and able to give off a feeling of widespread comfort, while proving that a certain type of accessory such as a grab bar or seat are to all effects furnishing components which can actually embellish the area. The bathrooms also offer an immediate perception of the care with which the rooms are maintained, influencing people's opinions of these areas. In short, first class hospitality is accessible hospitality in the bathroom, with the best inclusive and functional design. 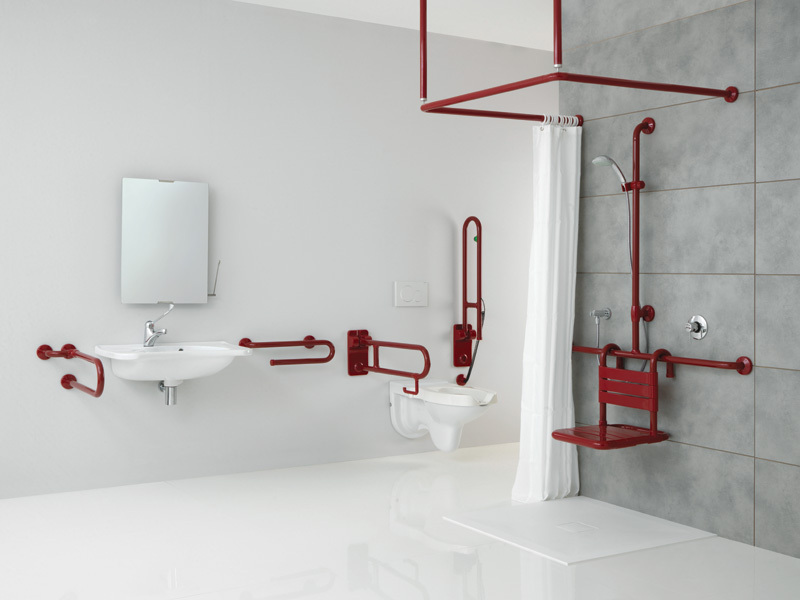 An accessible bathroom makes the design universal.